Close to centre, clean. Modern, but not much of a lounge area. We had a room with view to the sea, the room was clean and good for the price. Also, the city main amenities are all within a few minutes walking distance. Where to find Fodele hotels near an airport? Where can I find hotels in Fodele that are near tourist attractions? 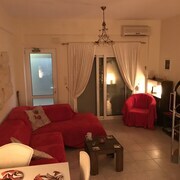 If you're thinking of taking a vacation in the Heraklion region and you're looking to book short- or long-stay accommodation in Fodele, Expedia offers a wide range to select from. Approximately 41 hotels are within a 0.1-kilometre (0.06-mile) radius from Fodele's downtown. The Fodele Beach & Water Park Holiday Resort - All Inclusive, is a great choice for visitors because it is the most centrally positioned lodging option in Fodele. 7 kilometres (4 miles) away from the main part of Fodele, is the Out of the Blue Capsis Elite Resort. 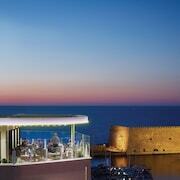 The Grecotel Club Marine Palace - All Inclusive can be found 25 kilometres (15 miles) away. Two other Expedia-listed places to stay around Fodele are the Fodele Beach & Water Park Holiday Resort - All Inclusive and the Sensimar Royal Blue Resort & Spa. 40 kilometres (26 miles) from Fodele is Hersonissos Centre, where visitors can enjoy Convention Centre Creta Maris and Sarakino. 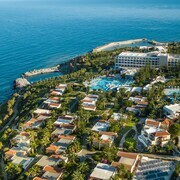 The Aktia Lounge Hotel & Spa and Creta Maris Beach Resort - All Inclusive are just some of the fabulous Expedia-listed long and short-stay options in Hersonissos Centre. Alternatively, you could consider staying at Matala, 50 kilometres (31 miles) to the south of Fodele, where you can pick from the Matala Bay Hotel and Hotel Neos Matala. The Roman Caves and Church of Our Lady are just a couple of the more popular places to explore for those visiting Matala. Just because you're far from home, doesn't mean you can't enjoy your obsession for sports. Theodoros Vardinogiannis Stadium can be found 16 kilometres (10 miles) to the east of Fodele. 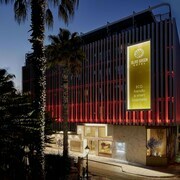 Book a hotel near the action at the Agapi Beach Hotel - All Inclusive or the GDM Megaron. Nikos Kazantzakis Airport is a logical airport, and is 20 kilometres (13 miles) from Fodele. 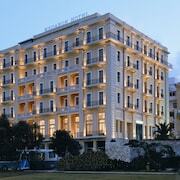 Conveniently located Expedia-listed hotels are Aquila Atlantis Hotel and Galaxy Hotel Iraklio. What are the most popular Fodele hotels? 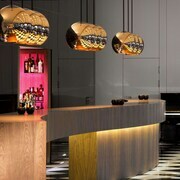 Are there hotels in other cities near Fodele? What other types of accommodations are available in Fodele? Explore Fodele with Expedia.ca’s Travel Guides to find the best flights, cars, holiday packages and more!